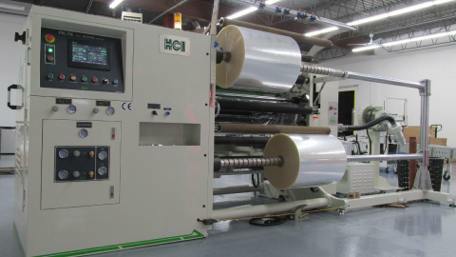 November 25, 2014 – PPC Technologies & Solutions LLC (PPCTS) the USA and Canada distributor of HCI Converting Equipment Co. Ltd. (HCI), has just opened a new Demo and Technology Center for HCI's Pouch & Bag making machinery and Slitter Rewinders. 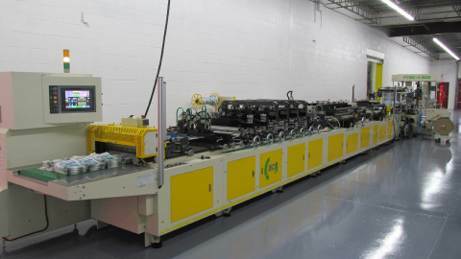 The new Demo & Technology center is now operational with the recent installations of an HCI FTSC-V600 Pouch Making Machine, as well as an HCI FSL-TX1300 Slitter Rewinder. 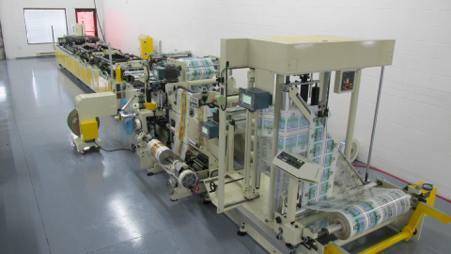 The demo center's HCI FTSC-V600 Pouch Making Machine is equipped to produce 1 or 2 across Stand-up pouches with bottom gusset introduction and Zipper, 1 or 2 across 3-side sealed bags/pouches, 1 across folded bottom gusset Stand-up pouches, as well as dual web capability for registered printed pouches. The HCI FSL-TX1300 Slitter Rewinder is capable of slitting various types of flexible packaging films at speeds up to 400 m/min with an unwind maximum diameter of 1000mm and a maximum rewind diameter of 800mm. Richard McDonald, President of PPCTS, noted, “the opening of our 6000+ square foot Demo & Technology center is a major investment and a testament to our commitment to offer competitively priced high performance equipment solutions to our growing number of customers serving the pouch, bag and flexible packaging markets. Our customers and prospects will now have the opportunity to demo and test the HCI equipment prior to making a purchase decision and/or even conduct testing on new structures or pouch styles and types, in complete confidentially. This investment will greatly enhance our opportunities to secure machine sales, as customers and prospects will get to "test drive" the equipment." HCI Converting Equipment Co., Ltd. is a leading manufacturer of a full range of high performance converting equipment and machinery for the Flexible Packaging industry that include Bag & Pouch Making Machines, Pouch Converting Machines, Slitting Machines, Seaming and Shrink Sleeve Machines, Slitter Rewinders, Rewinding Machine and Laminating Machine, with some of the most comprehensive technologies available on the market. With over 30 years of manufacturing experience, HCI designs machines with practical performance at economical prices and reasonable ROI's.